There's a chill in the air. And everyone you know has a cold, the flu, or some other nasty bug. 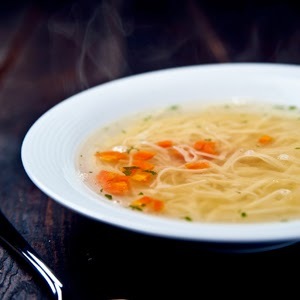 It's the perfect time to curl up with a warm bowl of chicken noodle soup. But how can one possibly improve on Mom's soothing recipe? 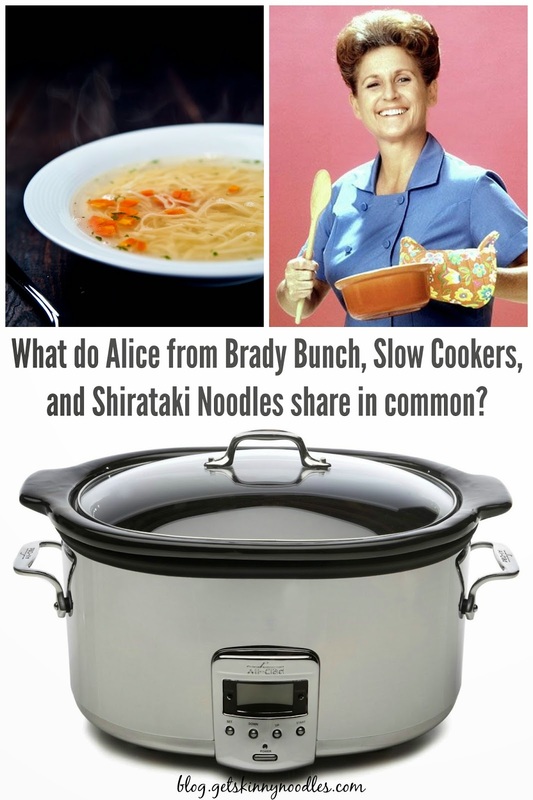 The answers are simple: Shirataki noodles and Alice from The Brady Bunch. Confused? Allow us to explain. You see, we've always wanted our own personal Alice. A housekeeper and cook who ensures the family always has something healthy and satisfying to eat after a busy day. What's the modern, real life equivalent of Alice? 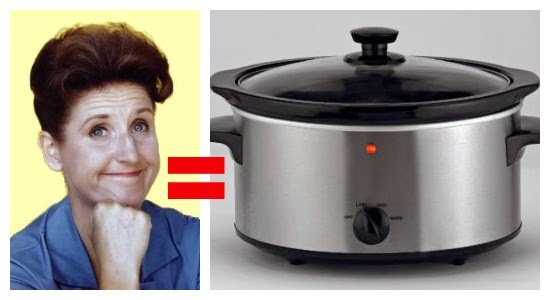 The slow cooker. That's right. Throw a few ingredients into the slow cooker, turn it on, then come home later to the delightful aroma of a delicious meal that's ready to serve. We've never understood why more people don't use this convenient little appliance. Low carb, low calorie, gluten-free shirataki noodles are the perfect companion to the slow cooker because they are healthy and ready-to-eat right out of the package. Just drain, rinse thoroughly, then add to the slow cooker in the last 20 minutes of cooking time. It's that easy to save time while also cutting carbs and calories. And did we mention you didn't have to hire or pay Alice? If you're new to shirataki noodles, soups are one of the best ways to start using them in place of less healthy ingredients like pasta, white rice, or potatoes. The possibilities are endless: chicken noodle, minestrone, ramen, pho, even chicken & shirataki "rice." Visit getskinnynoodles.com to browse all of our Skinny soup recipes and more. In a 4-1/2 to 6-quart slow cooker, combine water, broth, carrots, celery, onion, garlic, bay leaves, thyme, salt, and pepper. Place chicken breasts on top of veggies. Cover slow cooker with lid, then cook on low setting for 6-8 hours or high for 4-5 hours. Remove chicken and shred. Remove and discard bay leaves. Add chicken and shirataki noodles to slow cooker; cover with lid and cook (on low or high) 20 minutes. Skim any fat from surface of soup and serve immediately. Oh new recipe for me to try with slow cooker! Thank you for sharing!